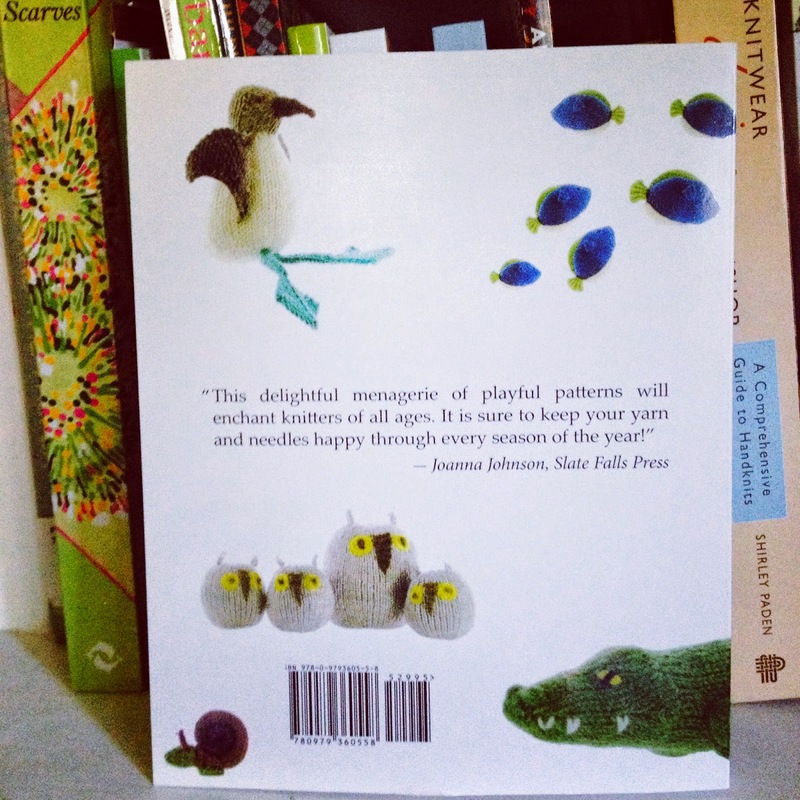 Slate Falls Press: 52 Timeless Toys to Knit, book review and giveaway! 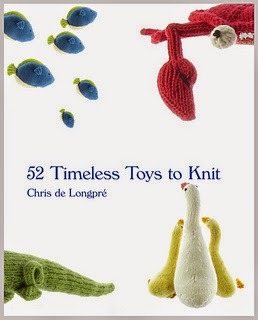 52 Timeless Toys to Knit, book review and giveaway! A fun little side note for me is that Chris very graciously asked me to blurb this book for her, which I was honored to do. My first job in the publishing business as working as an intern, helping the marketing manager acquire blurbs for a series of paperbacks. Never would I have imagined at that time that I would one day be writing a blurb of my own! Now, the fun part! Chris has generously offered to give a copy of her newest book to one lucky winner. To enter, simply comment on this post and include the name of your favorite animal along with your website, blog, Ravelry name, or email address so we can contact you. Comments are now closed, thank you! I love knitting toys. I especially love knitting toys made from a worsted weight wool that's easy to find and easy to work with! These are perfect stocking stuffers and Easter basket additions as well as being wonderful for Silent Auction contributions along with a baby blanket or child's scarf. My favorite is the lizard. They are all so cute and many are so unusual, it's hard to choose. My Ravelry ID is 1oldmoose. Thanks for a great book - I can't wait to get started on a few of these! My favorite softy is a cute little duckling. They look so soft and sweet. Can't wait to make a couple of these adorable patterns for my nieces!! 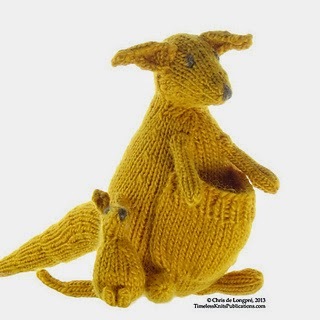 PS....my favorite in the book...(silly-me) is the kangaroo. So many cute animals to pick a single favorite is hard, knowing my great niece she would love the chicks & hen, or the kangaroo & joey. My own personal fav would be the kangaroo & joey :-) great looking book and what a fun way for children to learn. My favourite is the moose, but I'm sure I'll be knitting a lot more animals to go with it! I love this book! I want to make the alligator because I always say "See you later alligator" to my 1-yr-old granddaughter and she laughs and waves. She would love to have a "real" alligator. My email is hpfast@shaw.ca, and I have my fingers crossed! What a cute book. I love owls, so they are my favorite! I'd love to make the blue-footed booby for my son. Our our house burnt down and he lost his beloved blue-footed booby toy that he loved. Thanks for the chance to win this pattern! Since we've raised border leicester sheep for years they remind me of shearing day sitting like that. Just adorable! What a great book! My favorite animal is a sheep; I love the ones in the book. My granddaughter would LOVE the hen and chicks since they just started raising chickens. A cat is a cat and that is that! What a cute book! My favorite is a monkey. Love the starfish, it would go well with the jellyfish I knitted. Love the book. As a granny to 17 and great granny to 2 There is always someone to knit a favorite for. My favorite is the Kangaroo. This book looks awesome, something to use when my husband and I go across country to live by our kids. I think I like the snail, it reminds me of when visiting my granddaughter she had pet snails, I was like what? Sure enough she a plate outside the front door with snails in it, of course they were trying to escape cause they needed water so we put some in the dish. What a funny pet to have. I would love to win this book.